Bodegas F. Remírez de Ganuza is situated in the middle of the lovely village of Samaniego in the Rioja wine region. The splendid country mansion consists of a block of buildings and is equipped with modern reinforced concrete structures faced with masonary stone blocks which are between two and three hundred years old. This block encloses a spacious, quiet yard, crossed by a canal of running water, which as well as making the place feel cool, ensures the water supply in the event of problems with the local mains supply. The inner roof is made of hundred year old oak beams and the solid wood doors are the only concession to tradition in one of the most ultra-modern wineries in the whole of Spain. Fernándo Remírez de Ganuza is one of the big characters in Rioja. A former Rioja wine broker, he set up his eponymous bodega in 1989, using his contacts and knowledge to invest in 70 hectares of the best possible vineyards in the Rioja Alavesa: Samaniego, Leza, Elciego and Laguardia. 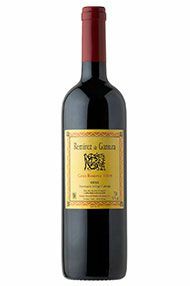 In Remirez de Ganuza, they work with fifty hectares of Tempranillo (90%) and Graciano (10%) situated in truly privileged enclaves of the Alaves vineyards. His philosophy inclines towards modernism with 80% French and 20% American oak, all new, used to age his wines, which are now justly celebrated throughout the world. Two range of wines are produced: The flagship wine is the Remírez de Ganuza Rioja Reserva with a yellow label (highly acclaimed in the US market), and another Rioja Reserva, but distinguished from the estate's top wine by the Fincas de Ganuza designation (red and yellow label). The vine stocks have an average age of sixty, with the youngest being thirty years old and oldest, ninety-six, an ideal average for making a wine with "breeding". The skill and exprience of Remirez de Ganuza in growing practises has allowed him to consolidate one of the basic pillars of the Bodega: sourcing the grape supply. Only the best grapes for the best wine.His philosophy inclines towards modernism with 80% French and 20% American oak, all new, used to age his wines, which are now justly celebrated throughout the world. 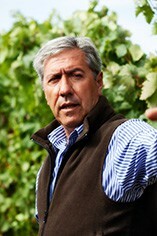 Fernando Remirez de Ganuza is one of the big characters in Rioja. An erstwhile Rioja Wine Broker, he set up his eponymous Bodega in 1989, using his contacts and knowledge to invest in 70 hectares of the best possible vineyards in the Rioja Alavesa. His philosophy inclines towards modernism with 80% French and 20% American oak, all new, used to age his wines, which are now justly celebrated throughout the world. 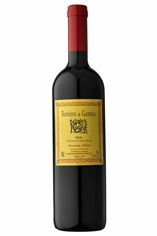 The excellent 2005 vintage Reserva is made from 50 year-old vines and is a blend of 90% Tempranilo and 10% Graciano. The wine has been aged for twenty-two months in new barrels ( 80% American and 20% French) The wine is rich and plush, with notes of ripe plum and black cherry dominating the aromas and a seductive creamy palate which is virtually impossible to resist! Fernándo Remírez de Ganuza is one of the big characters in Rioja. A former Rioja wine broker, he set up his eponymous bodega in 1989, using his contacts and knowledge to invest in 70 hectares of the best possible vineyards in the Rioja Alavesa. His philosophy inclines towards modernism with 80% French and 20% American oak, all new, used to age his wines, which are now justly celebrated throughout the world.